“Hanami” is Japanese traditional custom, which means to admire cherry blossoms. It is not an exaggeration to say that all Japanese are looking forward to the time of cherry blossom. 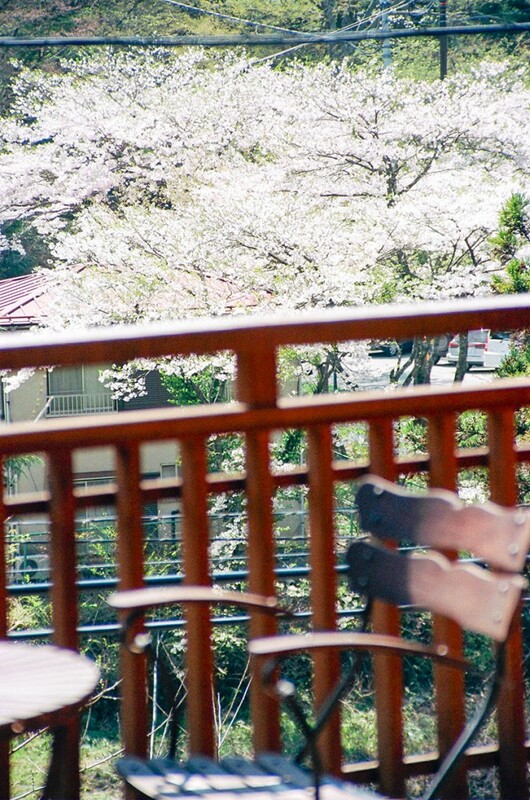 We, living at Shima Onsen, are not an exception. We always talk about Ohanami when It comes to a cherry blossom season at Tokyo (late March), such as “When do cherry blossoms at Shima Onsen bloom?”, “Do they bloom beautiful this year also?”, “When should we do Ohanami this year? “, and so on. 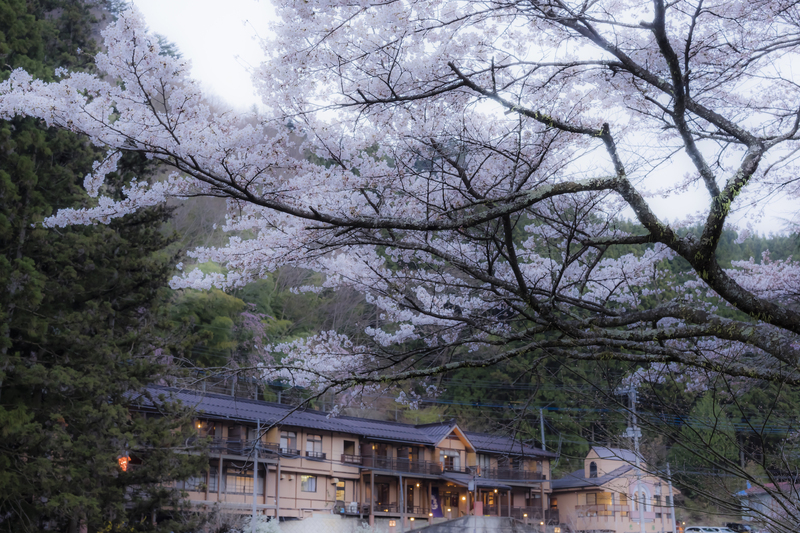 There is no so-called “Ohanami attractions” at Shima Onsen, where all over the place is covered with cherry blossoms. Instead, there are various kinds of cherry blossoms bloom in mountains, such as wild cherry trees, weeping cherry trees, Yoshino cherry trees, double cherries, and so on. They dye mountains with pink dots and tell the arrival of spring to the mountain village. You can view weeping cherry trees from private open-air baths of Kashiwaya Ryokan. You can also enjoy Yoshino cherry trees planted on the front riverbanks from deck terraces. In addition, you can enjoy double cherries at the Shima Onsen town. The double cherries around “old Nakanojo Municipal third elementary school,” an old wooden school building that had been closed down, are very impressive. 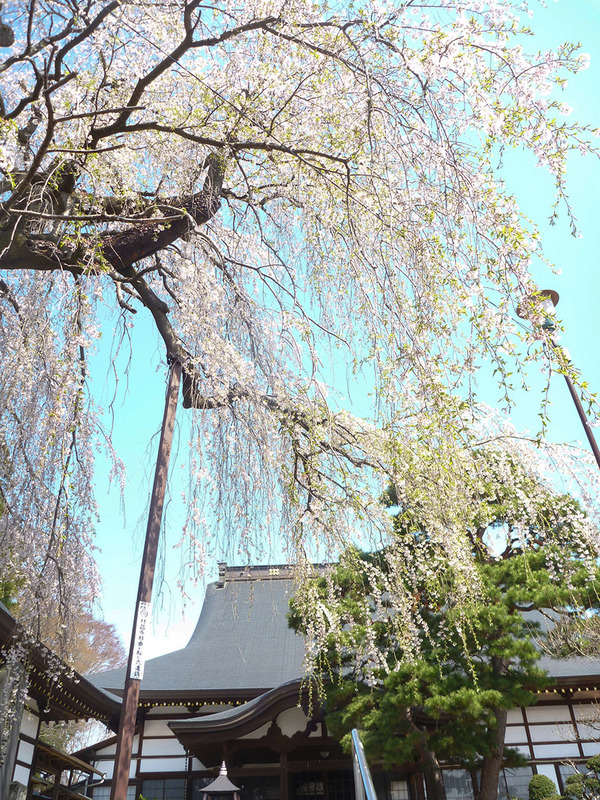 A weeping cherry tree at “Rinshoji,” an old temple near Nakanojo Station which is the nearest station of Shima Onsen, has height of 16m and is spectacular. It has been designated as a natural monument of the town. 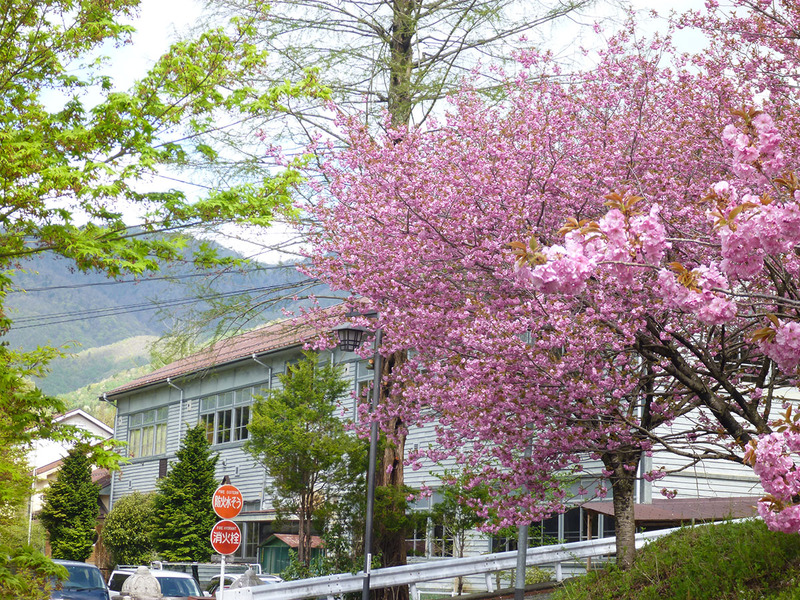 The altitude of Shima Onsen is about 650m, so the flowering period of cherry blossoms is later than that of around Tokyo, even it is at the same Kanto region. 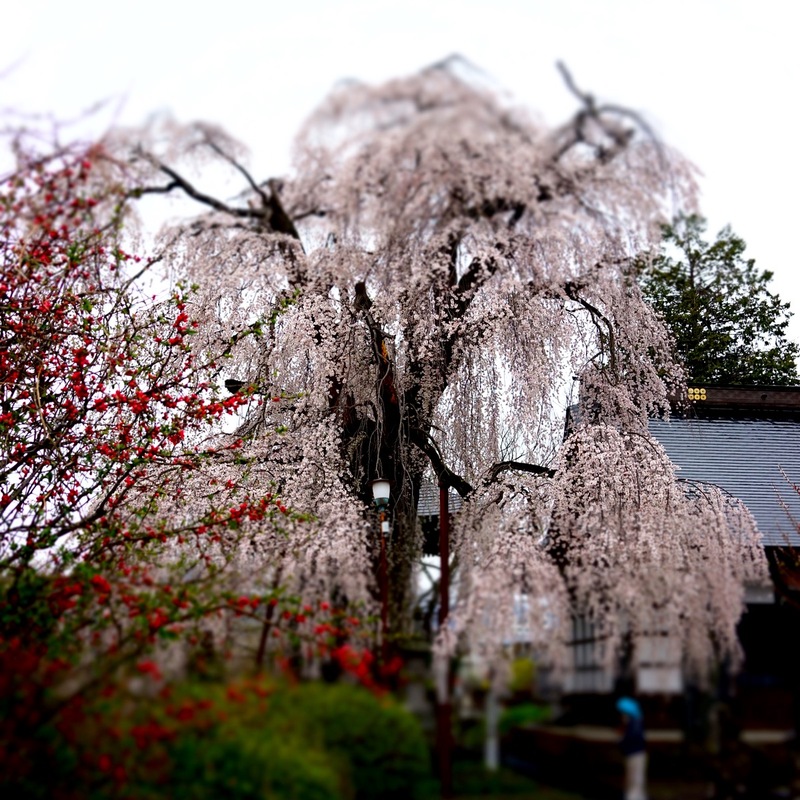 Weeping cherry tree at “Rinshoji” near Nakanojo Station is for about 15 days from April 10. Within Shima Onsen, wild cherry tree, weeping cherry tree, and Yoshino cherry tree are about 25 days from April 20, and double cherries are about 10 days from May 5. Please enjoy cherry blossoms slowly at Shima Onsen!